Lagos, 28th January, 2014 – Travelstart, Africa’s fastest growing global travel search site will be the first website in Nigeria to offer mobi-site bookings via mobile and tablet devices. The new version of the mobi-site compares thousands of flights in seconds, bringing the most powerful features and flexibility of the Travelstart website to mobile screens. Having reported a 416% increase in mobile traffic between 2012 and 2013, the online travel agency’s own data indicated the need for a mobile-friendly website. 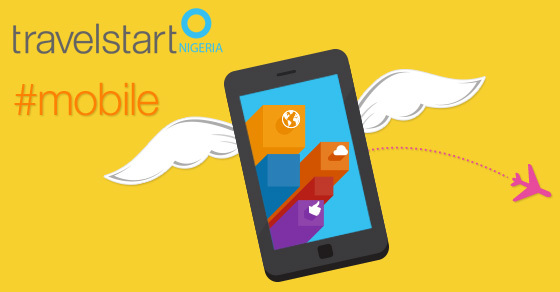 In addition to the increase in traffic from mobile devices, of all African countries that Travelstart operates in Nigeria has the most mobile subscribers, while in 2011 the amount of mobile devices in use in the country overtook the amount of desktop devices for the first time. Travelstart Country Manager, Lilian Obinna-Igwe, believes that going mobile will not only make doing business easier, but also provide customers access to bookings where traditional e-commerce has no reach. “Mobile connectivity in Nigeria accounts for a significant portion of Internet users who solely connect using their cellphones. This represents a vast, untapped online market well within our potential customer base." Filters can be applied to flight search results allowing customers to view flight options for specific airlines, times or simply by price. Once a flight is found, customers can book and pay for it directly from their mobile phone, or reserve the seat and pay for it later via one of Travelstart’s several payment methods, which includes bank deposit, electronic funds transfer, cash payment at the Travelstart offices, cash on delivery, Quickteller and credit card. The mobile-friendly version of the website will also be rolled out to the online travel agency’s international markets which include South Africa, Tanzania, Kenya, Egypt and Turkey. Mobile Internet usage has leapfrogged that of personal computers in these emerging economies, and the online travel agency has responded to this unprecedented growth with a mobi-site that serves the travel needs of Africa’s more isolated digital tribes. For many Nigerians, the Travelstart mobile website will open many travel doors – from searching domestic and international flight prices in real time to booking travel and receiving instant confirmation on the go.